Guest Blog: Can Social Innovation be Learned in School? Can Social Innovation be Learned in School? Based on our experience running CIRAL, the Civic Intelligence Research and Action Laboratory, over the past three years at the Evergreen State College we believe that the ability to practice social innovation can be learned in school — but it can’t be taught. Instead, we need environments where social innovation is encouraged and cultivated, in which students test and apply theory and other formal learning within real-world situations. These environments complement traditional educational approaches and because the practice of social innovation can only be learned by attempting it, through experimenting and improvising and collaborating with people, tools, ideas and situations, social innovation is not merely another subject which can be added to the curriculum. Students in CIRAL work together in small groups (called clusters) to envision and develop their own projects that focus on civic intelligence — the capacity for groups to address significant shared problems effectively and equitably (Schuler 2001). These projects are limited only by the imagination of the students. There has been wide diversity in the more than 30 projects so far. 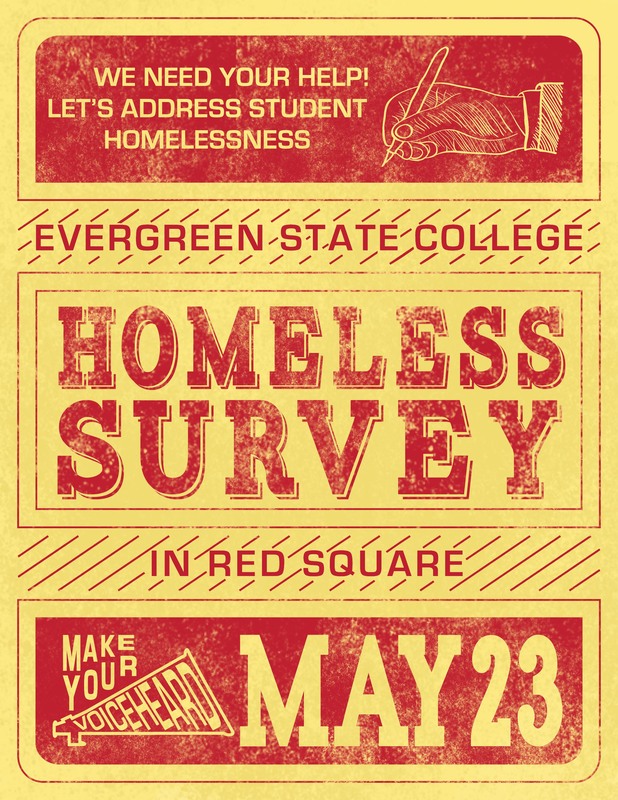 Examples include an anti-bullying game, video explorations of community health at Evergreen, anti-patterns (which identify and document social mechanisms that maintain oppression in society), public panel discussions and forums, software that supports group deliberation, city ambassadors, housing for disabled veterans, activist road trips, a campaign for a new student union constitution, an on-campus homelessness survey, and many others. Some of the approximately 20 student-originated clusters include Homelessness, Education, Community Health, Pattern Languages, and 15 – 20 others. We also have an overarching cluster, the “Home Office,” that is responsible for managing our weekly meetings, implementing participant suggestions for improving CIRAL, marketing the program on campus and in the community, and producing and archiving resources for future participants. A critical part of our approach is the weekly assembly. The faculty member opens the assembly with a brief status report that includes reminders, opportunities, and challenges. The Fresh Sheet, CIRAL’s weekly newspaper, which contains brief reports from the clusters (and provides an historical record) is then distributed. Then, liaisons from each cluster give brief reports, which are followed by cluster meetings. We were happy to learn that sharing reports from the clusters in our assemblies helped build shared consciousness and additional collaboration among the clusters. To put civic intelligence into practice requires thought and action. Although this specific focus isn’t required for these educational labs, we’ve found it to be extremely useful. (And most students in CIRAL have taken or are taking civic intelligence for one more terms.) A focus on civic intelligence in an educational venue challenges the educational business as usual model. It’s not really appropriate to only study civic intelligence. While civic intelligence requires knowledge of various sorts, we have learned there are at least four other important types of capabilities that need developing. These types (illustrated below) are typically not addressed in traditional educational settings. And the diverse capabilities that support these types include courage, motivation, civic purpose, a collaborative spirit, and self-efficacy, as well as other attributes such as access to social networks, diversity, creativity, and leadership. Social imagination and the ability to engage in social critique are also important. There seems to be a strong link between social labs (Hassan 2014) and CIRAL. One way to think about this relationship is to see CIRAL as an educational version of a social lab; one could even view CIRAL as preparation for participation in the social labs that Hassan describes. And although education is still CIRAL’s preeminent goal and takes precedence over working for positive social change, the focus on social change is critical — it provides both motivation and an endless source of critical real-world challenges for CIRAL to consider. The CIRAL experiment has been a success, both for the community and for student participants. At the same time CIRAL participation seems to lead to relevant employment opportunities for students and contributes to positive social change. We’ve identified five lessons that account for this success. Ideally these lessons will be useful for students, faculty members, and school administrators who are hoping to launch educational labs of their own — realizing, of course, that the circumstances are likely to vary at each institution and organizers may choose to prioritize objectives or methods differently. Nevertheless we believe that these five lessons work together synergistically; taken as a group they encourage a healthy lab with lively, engaged participants. 1. Focus on Civic Intelligence This non-negotiable constraint (for CIRAL) stipulates that the projects that the clusters develop use, explore, and advance civic intelligence. The focus on civic intelligence, and on increasing the capacity of other groups to solve their own problems, provides a broad but unifying foundation for our work, and ensures that the value of our work extends beyond the classroom, both geographically and temporally. 2. Collaboration is Central All of our projects are intended to be collaborative. These collaborations engage faculty members, students, and community members who are stakeholders in the various projects, sustain the lab community and build critical skills. We also practice a sort of collaboration over time. Unlike more traditional approaches to education, where every term is brand new, where one set of students is routinely replaced by a new one and all of the work of the previous term is forgotten, we consciously try to systematically capture useful knowledge and insight on which future members can build. Ideally, our project participants should not only focus on the immediate project goals but also help further refine the model of CIRAL, and also think carefully about what resources the cluster can pass forward to future CIRAL participants. 3. Student Ownership When students feel that the lab belongs to them and that they can change it for the better, they are much more likely to work to promote the lab and to find ways to improve it. We owe many of our positive changes in the lab’s processes and identity to this deep relationship. This feeling of ownership has been demonstrated in other ways as well. Some students, for example, are attempting on their own to establish CIRAL-like labs in other institutions. 4. Persistence One of the goals for CIRAL has been to actually persist and to be offered every term. When this is the case students can plan ahead for lab participation. It also means that projects — and the involvement of students — can extend beyond a single term. When students can stick with a project — and the lab itself — over multiple terms (and, here, the availability of flexible credit hours becomes important), they can provide valuable lab memory and lessons learned to newer participants. The evolution of the community health project demonstrates why the extra time is often important. During winter term of 2014, students recognized that they wanted to create a community health cluster and began exploring the field. At that point there were no obvious signs that an exciting project was imminent. In the following quarter, the idea of community health — in all its manifestations — at Evergreen became a campus-wide focus and the cluster quickly realized that this was the opportunity they were looking for. They launched an ambitious project that combined documentary film-making with ethnography. The project proved so compelling that half a dozen students — including students from other clusters and, even students not formally in CIRAL — were putting in 30 or more hours a week on the project. 5. Cross-Fertilize and Evolve CIRAL is a new organizational entity that is designed for conscious evolution. Because the labs and the clusters can persist over time and because the structure and orientation of the lab itself is explicitly malleable, this approach establishes something like a permanent test-bed for an institution to try out new ideas. This is especially true if more than one research and action lab exists at an institution. The challenges facing educational labs are diverse and impossible to ignore. For one thing, because of institutional inertia, one of the hardest challenges might be actually starting one! But once the lab is operational new challenges arise. For one thing the labs need to attract students who long to be more instrumental in shaping their education and those who want to work with others on projects with potential real-world consequences. While these concepts may seem alien to many faculty members who have come to expect students who have been trained to be docile, there still seem to be many who would flourish in a more active and engaged environment. We have also noted that many students only learn that they too have this longing when they are given an opportunity to actually act upon it. Faculty members might not like everything about the lab. Some who participate in the labs may find their workload increased — but their pay. And if the model promotes more student autonomy faculty control and authority within the lab may be diminished, which could be uncomfortable or even intolerable for some. The faculty member will also need to suffer a certain amount of muddling — even though this sometimes turns out not to be actual muddling! Education in the lab should be relatively safe and “failure” should actually be an option. Having said that, faculty members have an obligation to help steer students — generally with a light touch — in their projects. Faculty members will need to anticipate the need for a heavier touch on occasion, especially when the stakes are higher, such as with community work or work requiring human subject review. Another perceived barrier is that labs similar to CIRAL seem to require faculty “omnicompetence” since the skills and knowledge that students might need at a given time might be in areas that the faculty member feels unprepared to support. But, of course, nobody knows everything! Faculty well-roundedness and the ability to improvise, plus access to foundational material (“How to Conduct Qualitative Research”, “What is Asset Mapping” for example) and helpful, thoughtful colleagues can be invaluable when it comes to handling these inevitable circumstances. It probably goes without saying that not every student or faculty member would choose to participate in a research and action lab. That being said, providing a research and action action lab opens up possibilities for students and faculty members who are interested in hands on project-related work or other work that influences the “real world.” These labs can’t function well without adequate numbers of faculty members to conduct them or students who are interested in attending them. In most cases the student population is there and that the faculty resources necessary for this adventure would muster for this as well. Evergreen State College, a non-traditional liberal arts college with a focus on theory and practice makes it an obvious choice for a lab like CIRAL. But even at Evergreen this approach can be a hard sell to many of the faculty and administrators. It was only when a new institutional form, the undergraduate research option, was made available that CIRAL in its basic form could be readily launched. In other words, it is probably easier to adapt an existing educational option than to devise a new one to establish a lab at your institution. Creating a new option, may be the only way to go if no other suitable option exists. In either case, we need successful models to point to. We also need to identify allies. Circumstances will vary but enlisting faculty members from other disciplines who, for example, would like to work with undergraduate students on various projects, is probably in order. And students themselves may be willing to bring up this idea with faculty members, other students, and administrators. Although many Evergreen students may relish this opportunity to blaze their own educational paths, the research and action lab opportunity is not an option in most schools. In fact, I have been told by faculty members from all over the world that developing a lab similar to CIRAL at their institution was simply unthinkable. While labs like CIRAL, are — I would argue — indispensable for 21st century education, the fact remains, however that the obstacles they face are substantial. Administrative, cultural, and psychological barriers exist that can’t be wished away. Launching educational alternatives — especially in an era of compulsive testing and the sanctification of science, mathematics, and technology — are unlikely to be friction free. 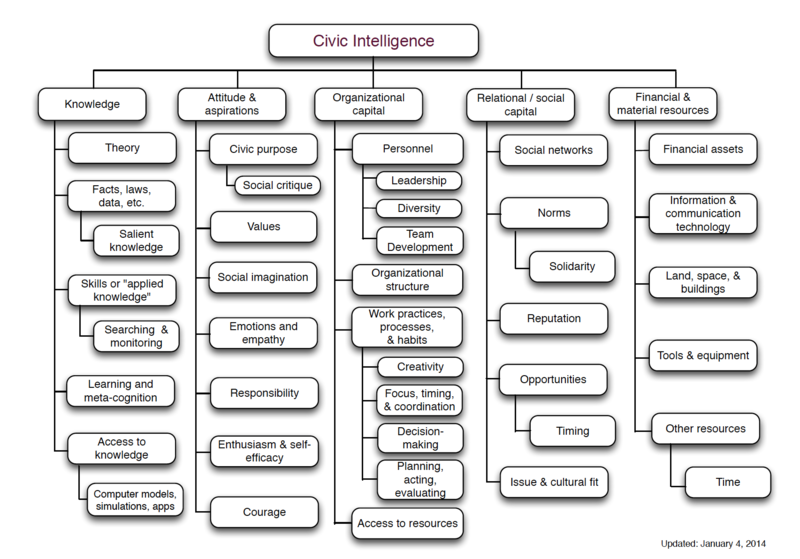 These forces in fact echo to a large degree the swimming upstream nature of cultivating civic intelligence in society. Social progress comes both slowly and all at once, but as Frederick Douglass observed, never without a struggle. Establishing a single lab at a college or university can be an important complement to the other offerings. And although I’m a fervent advocate of this, the Internet — and 21st century realities — suggest many compelling directions for a new educational labs movement. The idea of multiple labs within a given school seems to be one obvious possibility. Consciously thinking about a network of labs could help establish an evolutionary environment for social innovation at that institution. Although the various research and action labs would ideally (in my opinion) follow the same general guidelines, one of the important aspects of the approach would be the development of some body (and/or mechanisms or processes) that would help coordinate the research and action activities of the various labs. Although the labs themselves could change over time (thus presenting an immediately relevant and accessible “natural experiment”), the network of labs that also would be created is also potentially a source for educational and institutional learning. The individual labs as well as the various networks could be developing toolkits of ideas and resources to help students with their projects. The structure and orientation of a variety of labs could, for example, help the school better understand the role of technology within their educational framework. It could also be used to explore different approaches to working with remote or peripatetic outposts, working with the community or with graduates or other people and groups beyond the immediate region. And now that we’re here, why not explore the idea of networking the networks? This notion, while somewhat utopian, is not necessarily implausible. We are seeing new organizational forms daily made possible by new information and communication technologies. Labs built on cooperative principles that are focused on research and action may not be so farfetched as we think. Hassan, Zaid. 2014. The Social Labs Revolution: A New Approach to Solving Our Most Complex Challenges. San Francisco: Berrett-Kohler Publishing. Schuler, Douglas (Summer 2001), “Cultivating Society’s Civic Intelligence: Patterns for a New “World Brain”, Journal of Society, Information and Communication 4 (2).